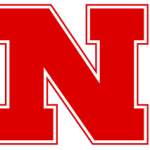 The Nebraska baseball team’s three-game winning streak was snapped last night in a 5-0 loss to Kansas State at Hawks Field. The Huskers were held to five hits and left 10 runners on base. It’s their second consecutive home loss after starting 8-0 at Haymarket Park. This was the first of five games in six days for the Huskers… they face UNO tonight at Werner Park in Omaha, and begin a three-game Big Ten series at Iowa Friday.